The last week (heck, last month) has been a whirlwind of weekend trips. I’ve boarded too many flights for my liking and have been as far west as North Dakota, as far south as Texas and as far east as, well, the southern Maryland peninsula. In that time frame I also managed to visit a few counties I’ve never stepped foot in (or at least drove through) before. 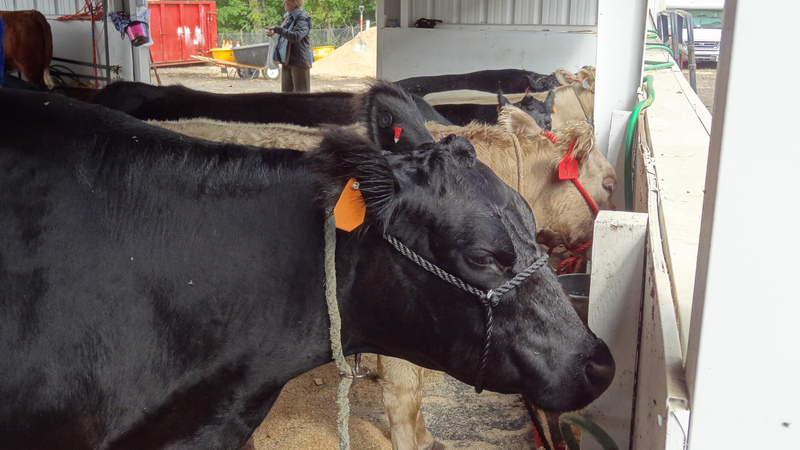 This past Friday we went down to said peninsula and visited the Calvert County Fair. 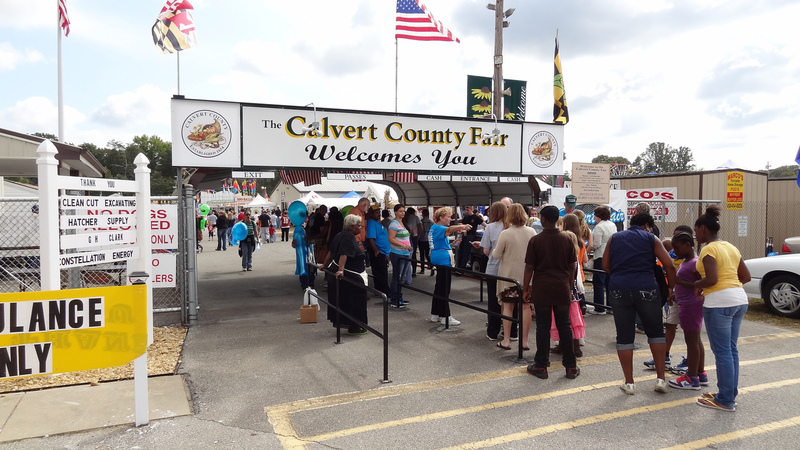 This small, but busy, fall fair runs for only five days but was packed with people on this particular day as Calvert County schools shutdown so that kids could enjoy the fair en masse. 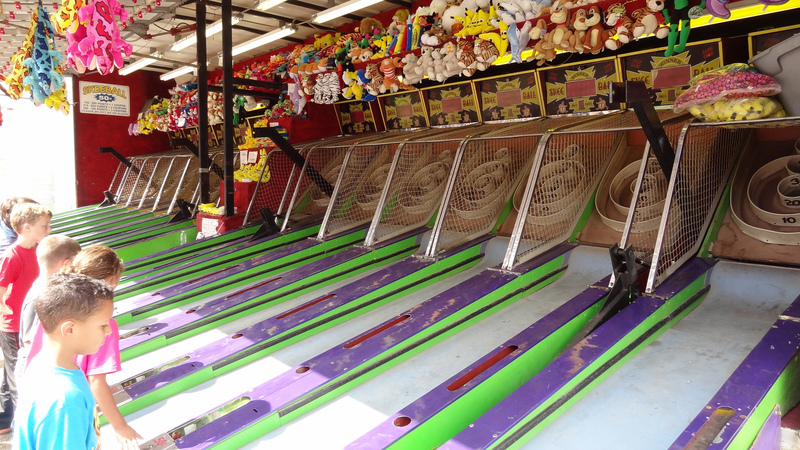 Despite its relatively small size, the fairgrounds boast a nice complement of rides (at least a dozen) and overpriced games of chance. Food options were commendable, as we enjoyed a gyro and pit turkey sandwich as well as a couple bags of kettle corn (a nice deal at $2/bag). What a random thing to do, though? 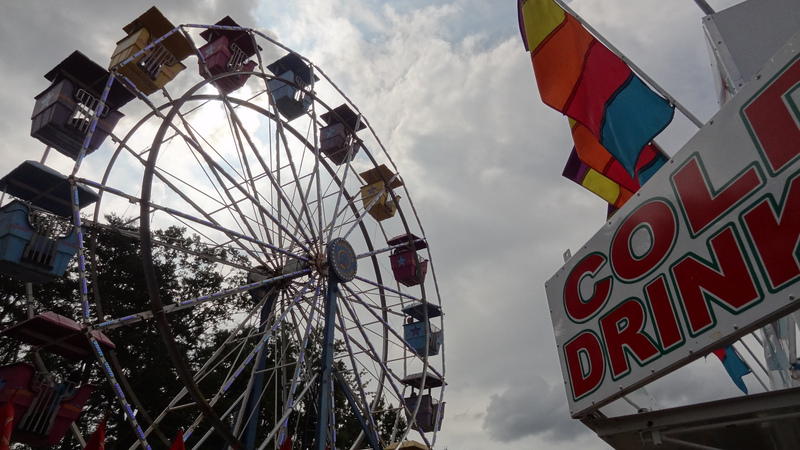 Why did I come out to the Calvert County Fair at 11 a.m. on a Friday? I’d join a professional Skee-Ball tour if there was such a thing. I won myself a plush banana! Well, one, I had a rare Friday off. Two, I had never visited Calvert County, nor the most southerly county on this side of Maryland, St. Mary’s County. After leaving the fair, I drove down over the county line into St. Mary’s to complete my tour of Maryland. Granted, I probably didn’t see the things these counties are most famous for (which both, I’m sure, include views of the Chesapeake Bay), but I’ve now visited all 24 of Maryland’s counties (including Baltimore City, which functions as an independent city). This is big for me, as I count all my counties visited and have only completed two states (the other being Delaware, with all three of its counties). I’m one short on Connecticut and Rhode Island as well, but no other state had lingered so close (for so long) to the finish line as Maryland. I just finally had a day to get myself south of D.C. so I can complete my quest! It wouldn’t be a county fair without farm animals. The weekend prior I had actually visited my 700th county. Driving back from Nacogdoches, Texas to Dallas brought me through Henderson County and I notched another milestone on my travel belt. 700 just makes me want to push closer and closer to 1,000, but even then I’m not even close to the total number of counties and county-equivalents in the United States (which currently stands at 3,142). 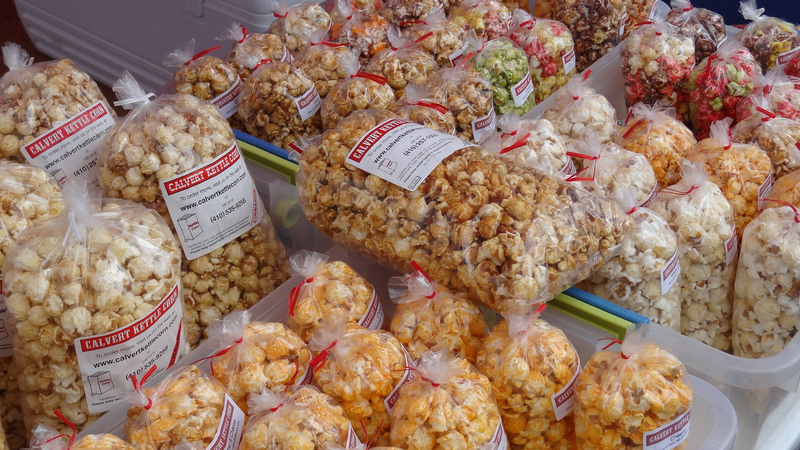 Some free advertising for calvertkettlecorn.com, it’s good stuff! County counting is more than just checking off man-made district borders off a map, it’s more of a truer quest towards country completion. You can think you’ve covered a lot of the U.S.A, but until you start filling in counties on a map, you realize how much empty space you still have left to cover. I’ve been to 45 states (will be at 46 after I visit Nebraska next) and filling in my states visited map (which you can see here) makes it look like I’ve been almost everywhere. However, take a look at my county map and you’ll see I still have a lot left to see. Whether it’s all worth seeing or not is up to each individual, but I like seeing as much as I can and county counting sure helps keep track of it all. If you’re interested in keeping track of your counties and making your own map, visit Mob-Rule’s County Counting site. Congratulations on hitting 700, that’s a lot! It looks like a road trip to the southwest would be helpful to your quest; grab some of those mega-counties and fill in lots of white space. Now you’ve got me curious. I’ll have to start my own county map! Congratulations! I know how difficult that can be, I’m at an even 1000 counties and haven’t completed any of the 44 states I’ve touched. Oh the simple joys of pursuing your goals…. I’ve noticed, too, that once you become “tuned in” to the county counting process, you start planning your trips a little differently. I’m not crazy as to pick up every one in and around me, but I try to take a few “routes less taken” to get ones I may not ever have the chance to get again.